You are invited to a very special one-off gig to celebrate the launch ot our debut album "Three Cheers For The Undertaker" on Folkroom Records, at the beautiful St Pancras Old Church on Weds 18th Sep from 8pm. We'll be playing our new album all the way through, in order, with special guests and other extra nice things along the way, and we can't wait to hear how it all sounds in a church. Support is from the wonderful Sophie Jamieson and her band, our label-mate and friend, and if you've not heard her before you're in for a treat. Please note: there will be a bar available! And here's the Facebook event: www.facebook.com/events/539205082814070. We're really pleased to finally reveal the first new track and new video from our debut album! It's called "Stars Are Ripe" and excitingly it's already Track Of The Day on For Folk's Sake! The video was conceived by directed Mark Minors, and filmed with the help of an amazing crew and amazing extras - we can't thank you all enough. We hope you like it! 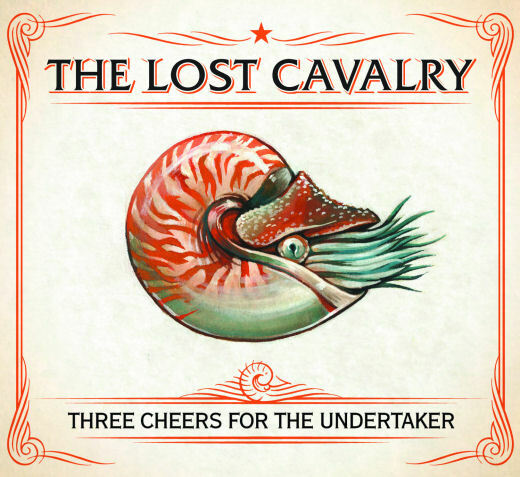 5/8/13 : Our debut album - Three Cheers For The Undertaker - available in 6 weeks time on the 16th Sep! Our debut album "Three Cheers For The Undertaker" will be released in 6 weeks time on Folkroom Records!. It's 12 tracks and 52 mins of wonderfulness - we're really proud of it and we hope you'll like it too! The album cover features brand new artwork by our very own Toby Atkins, and the CD edition comes with a gatefold sleeve and 12 page lyrics and artwork booklet. In the coming weeks we'll be previewing some of the tracks, releasing some new videos, and announcing details of our (special!) album launch show on the 18th Sep - keep the date free if you live in or near to London!